We recently popped over to Blackpool to spend a couple of days with the UK’s top comedy double act Clive Webb and Danny Adams. We filmed their brilliant show “Cirque Du Hilarious – Screaming with Laughter” on the Central Pier, as well as some extra segments for their next DVD. 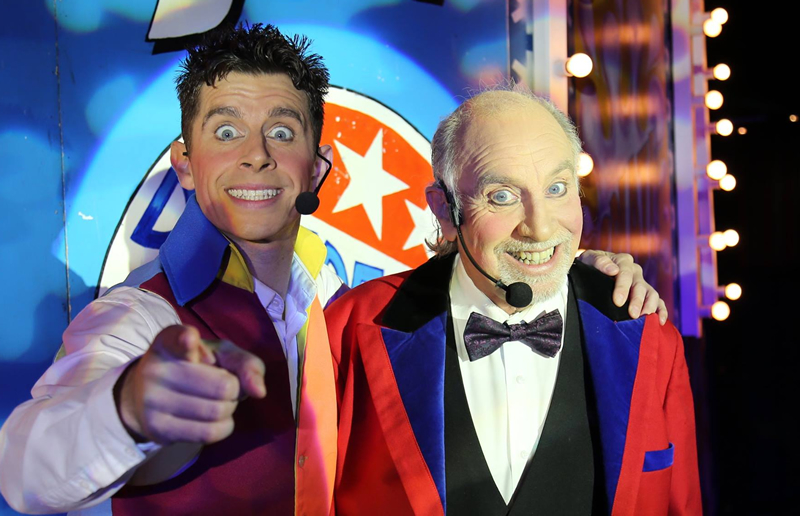 We’ll be catching up with Clive and Danny again in December to film them in panto at the Newcastle Theatre Royal, and some more stuff for the DVD!